All new 2018 Swift caravans now come with a free Powrtouch mover. Limited time offer! 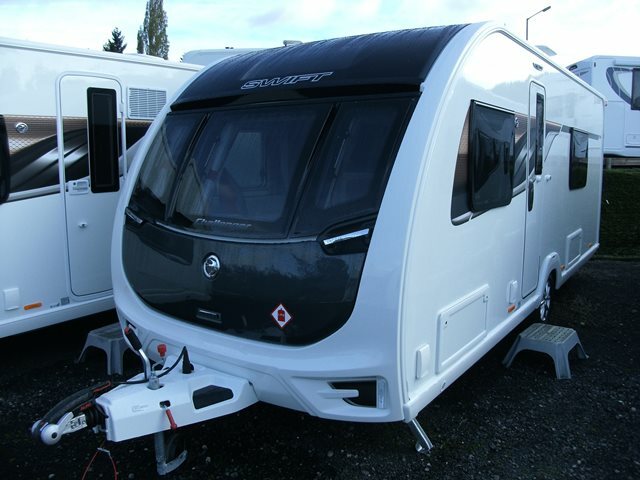 The four berth Challenger 565 features two bench seats to the front, a central kitchen, twin fixed beds, and spacious end wash-room. For any further information please contact us on 01384 413336 and ask for a member of the sales team. PLEASE NOTE PRICE INCLUDES THE ALDE WET HEATING AND LUX PACK OPTIONS WORTH £1345.